It has been a while since I've done a brush post. 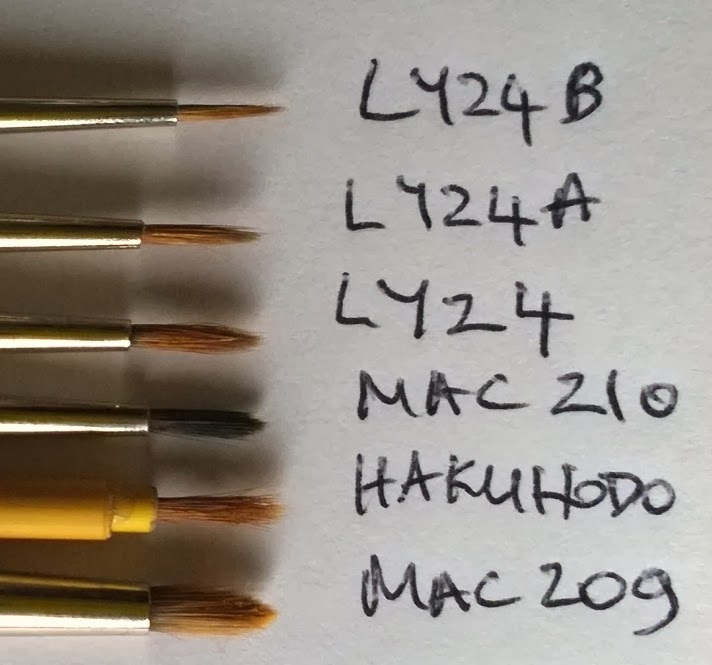 I had recently purchased the Louise Young LY24A & LY24B to join my crop of LY24s (when I like a brush, I generally buy a bunch of 'em, some for my kit, some for me, and I always build-in backups and redundancies ;-)). Warning link- and image- heavy post. Having been looking for an even finer liner than those previous two loves of mine, I think I noticed Sam from Pixiwoo using either the LY24A or B recently - can't remember which, and it reminded me to look at the Louise Young site. 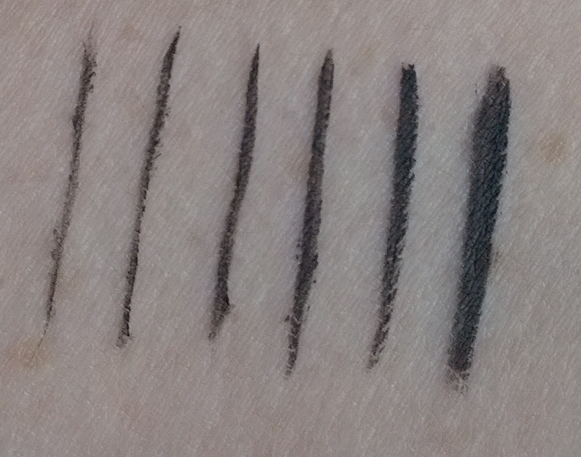 As you can see from the pictures, both the Superfine Eyeliner (LY24A) and the Ultrafine Eyeliner (LY24B) are both pretty skinny, with the LY24B being the skinniest of the two. 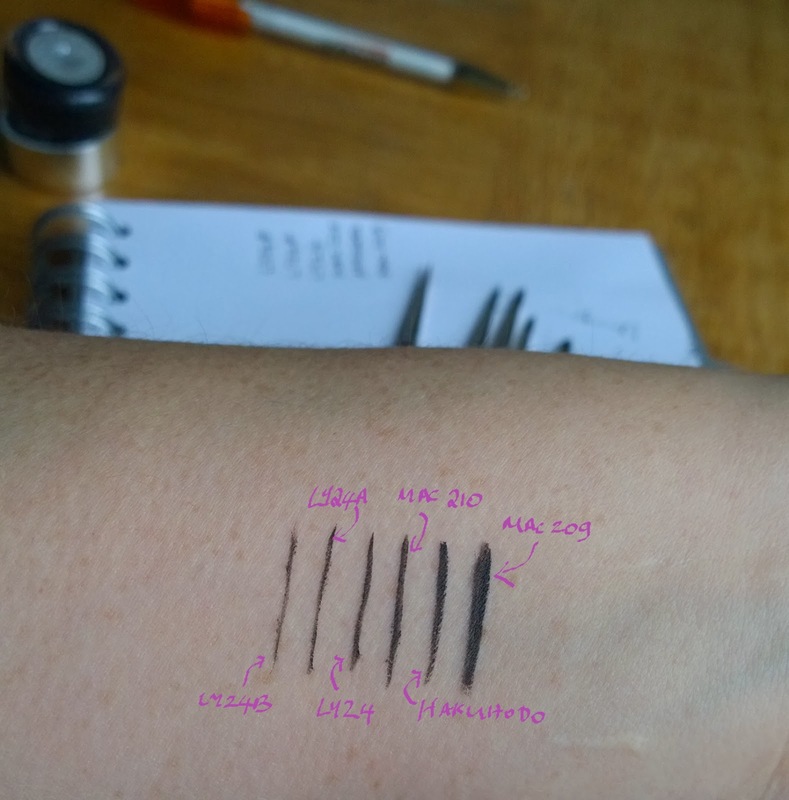 If I'm honest the LY24A is probably the best of the two; in general I prefer sable eyeliner brushes, but in this instance, there are so few hairs in both brush, that I just found the synthetic fibres of the LY24A grabbed and applied product better.